I scanned my pockets thoroughly. It was not there. I looked behind the drawer, tossed all the files out, removed all books in there, and threw them out. I looked inside the shirt and pant pockets of all the trousers that were in the clothesbasket. Alas, it was not there. I was wondering where I kept it. 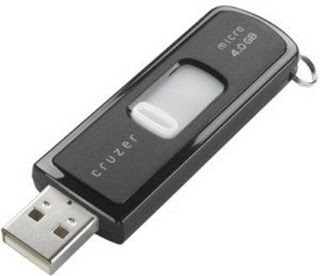 I was ruffling up the closet with anxiety and felt like I could give anything to anyone who helped me find this all-important digital device, my USB flash drive. It contained all the writing and documents that I had saved. I had decided to reformat my laptop. If I lost the pen drive as well, then years of hard work and creativity would go to drain. I was thinking hard, trying to recollect where I had kept the pen drive. I was trying to retrace my steps and with a great deal of desperation, I tried to focus and concentrate on the task. I looked beneath the sofa, behind the television stand, below the study table, the bed but to my disappointment, I could not find it anywhere. I was cursing myself that I forgot to keep the pen drive back into my bag that I carry to office every day. I had no idea where I kept it. I felt helpless and exhausted after this extensive search. I did not know what I would do. I was almost in tears, for this meant a lot to me. With a heavy heart, I decided to call it night and go to sleep when the phone rang. A sigh of relief and the heavy heart eased out. I slept with peace that night.